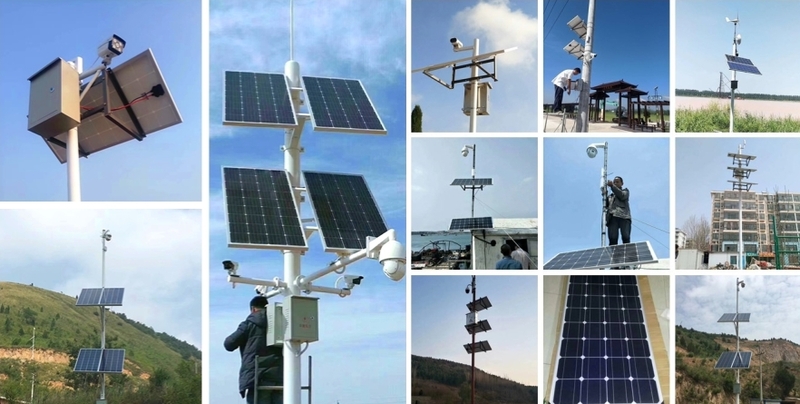 • Applicable to the suburbs or inconvenient power supply of the mountainous areas, can be used according to the needs of different combinations. 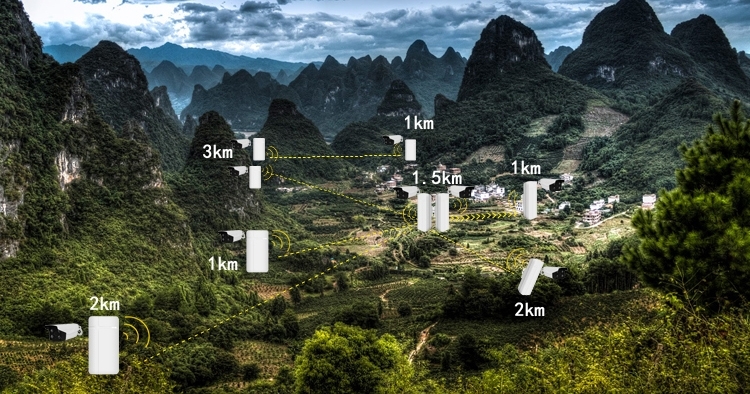 • Effectively Solve the troubles of long-distance outdoor transmission wiring. 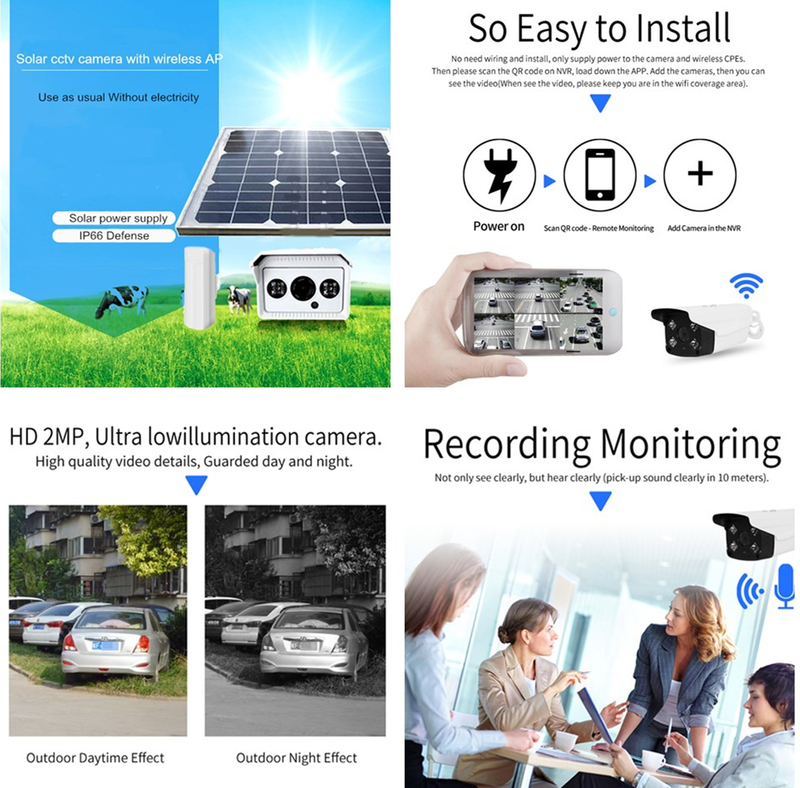 2MP HD IP Buamera, Night vision and face recognition. After the solar panel is installed, there can be no obstructions.. Blocking a small corner will cause the area to consume electricity and not charge the battery. 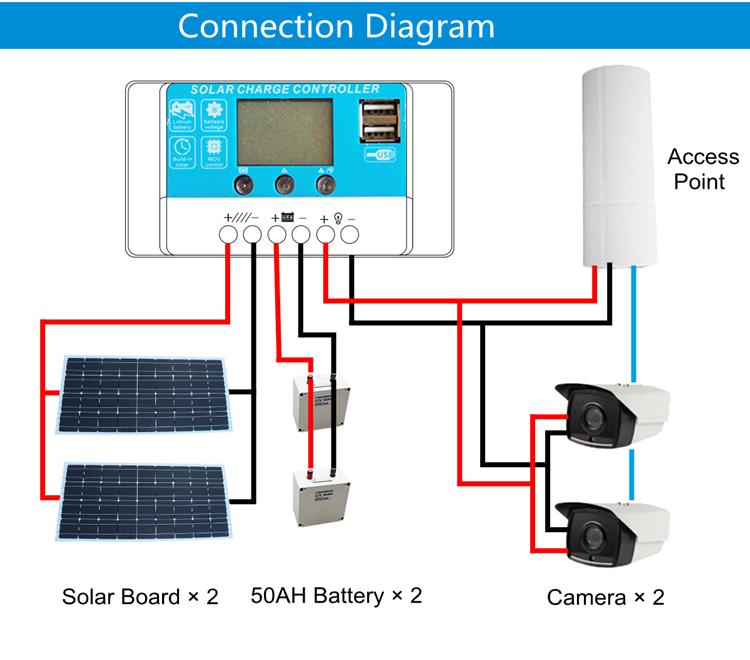 The core of the connection is the controller, which must be connected to the 12v battery first, and then to the solar panel. Note that the negative and positive electrodes should not be reversed. A usb interface is provided on the controller, which can output 5 v power supply,can be used to connect 5 v power supply switch, or fiber optic transceiver. 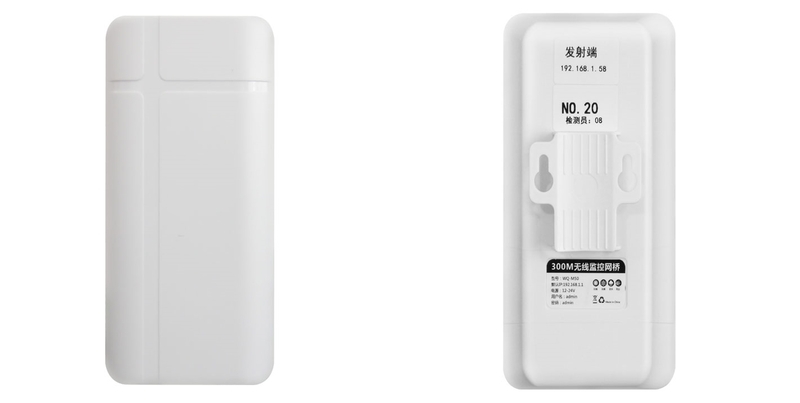 If necessary, contact the customer service describe is it to connect to the switch or transceiver. Take the usb transfer line. 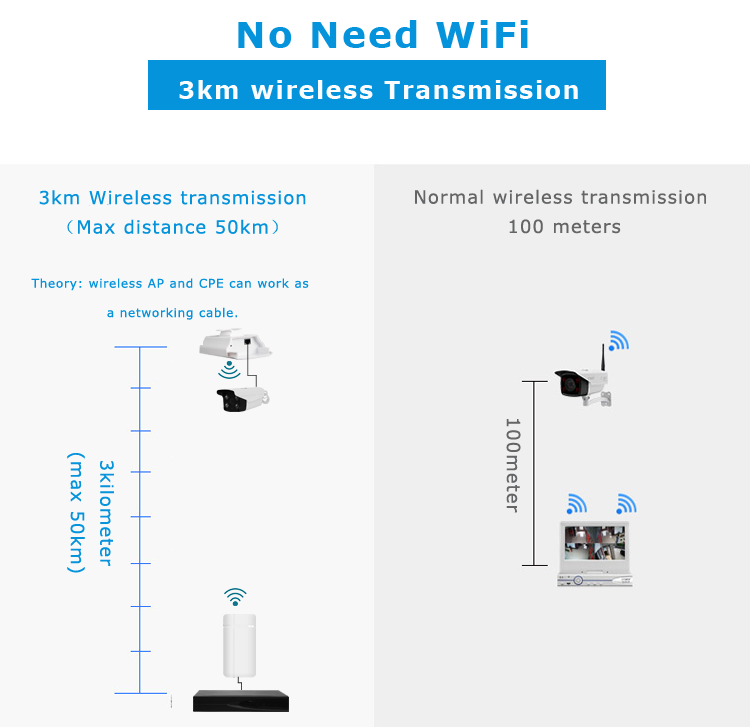 As a wireless devices equipment manufacturer with more than ten years, we have supplied competitive devices and help do many wireless solutions for CCTV system and WISP projects. 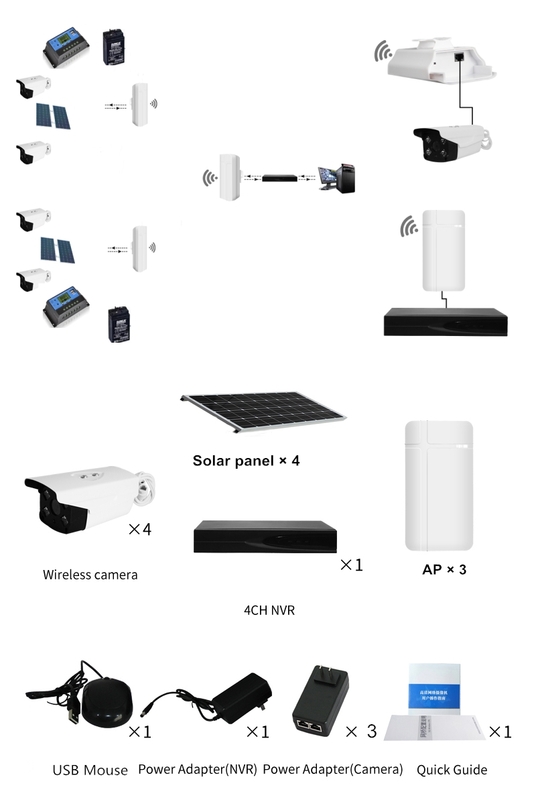 We can offer 1~50km Wireless Solutions and Devices to our CCTV system customers. 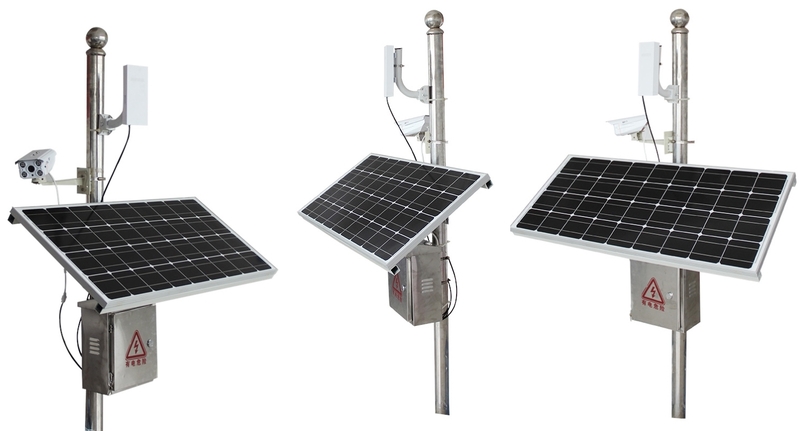 Solar Powered also available.